I’m way too excited not to post this! I got engaged this weekend and my beautiful fiancee couldn’t have done it on a sweeter way! 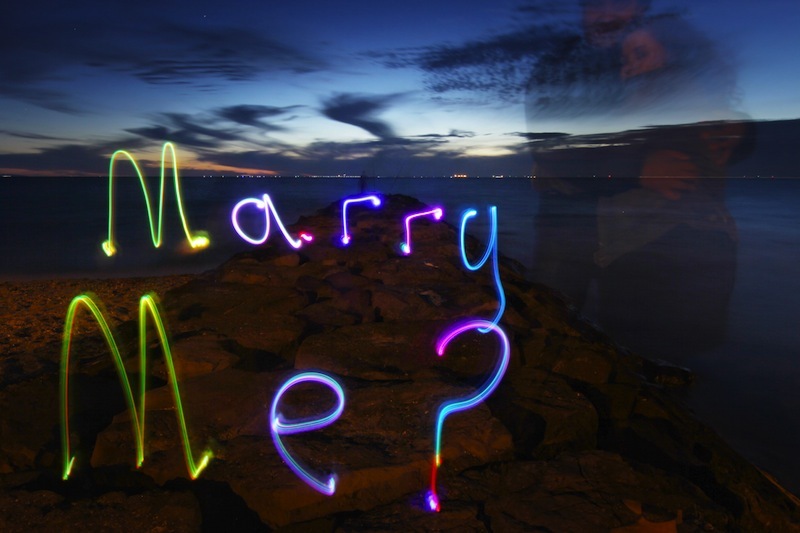 We both love photography, specially lightpainting (long exposure shots done with lights) so he took me to the beach under the excuse of doing a xmas card for his clients. We did a few tests and then he asked me to pose with him in one of the images to give it a more “personal touch”. When I went to check the image, this is what he had wrote!!!! 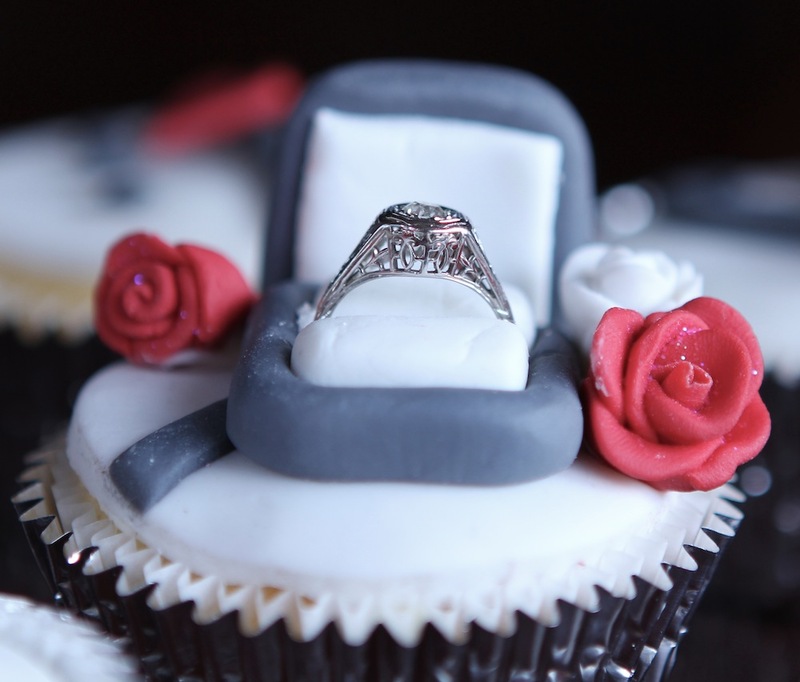 Then he went on one knee and holding a cupcake with a fondant ring box on it, asked me to marry him! I think I screamed so hard they might have heard me in Spain! 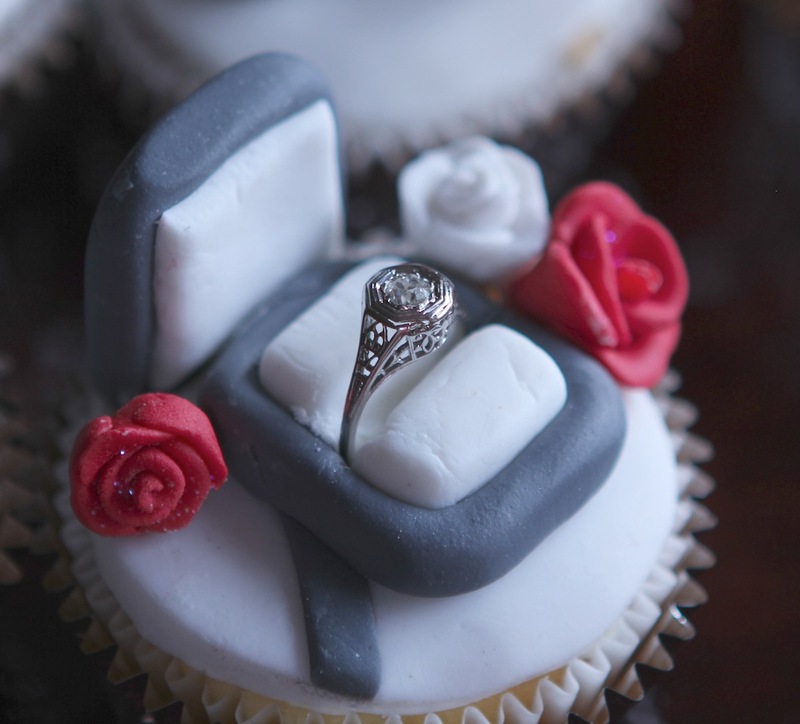 Cheryl Whelan, a friend of us, made the cupcake and even did a few extras for us to have a sweet breakfast next day. Aren’t they gorgeous? 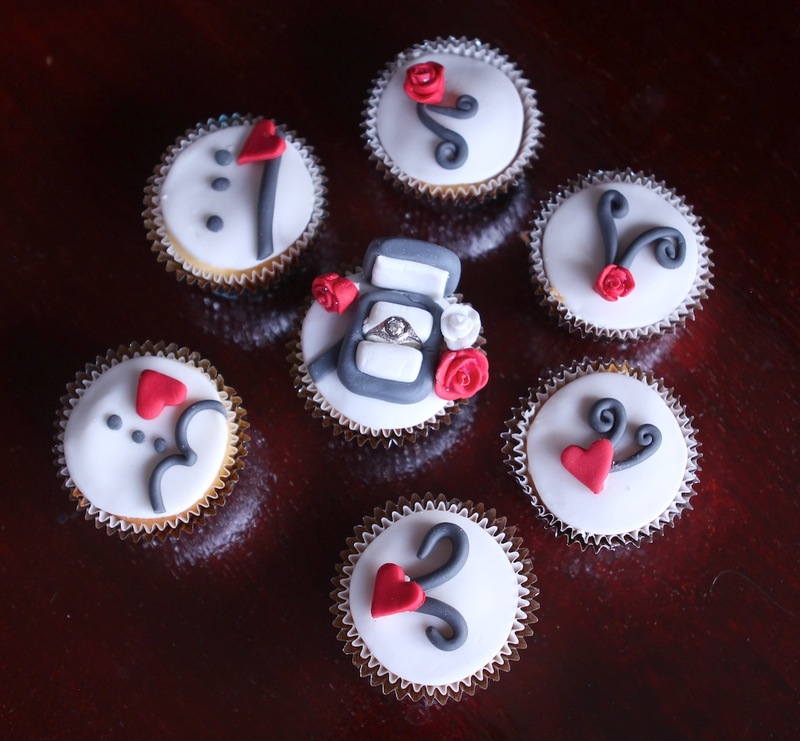 I loved every bit of the proposal and definitely love how cute and elegant these cupcakes look… I couldn’t be happier right now! I might need some one to poke me out of cloud 9! That is the cutest thing ever! Congrats! awwwwwwww how absolutely precious! congratulations! what a great guy!